By drawing upon our extensive experience within the home improvement industry, we guarantee that we will be able to restore your double glazing product to maximum efficiency, and will provide you with a product that feels as good as new. We specialise in all double glazing repairs, including uPVC & aluminium windows, doors and conservatories. Repair your existing double glazing with our expertise at Total Window Repairs. Our specialist team at Total Window Repairs are highly trained to handle all of your double glazing repair needs throughout your property. If your sealed double glazed units are suffering with condensation, you will be losing heat to the outdoors and subsequently experiencing a cooler environment inside your home. By simply replacing the double glazed unit you will instantly improve heat retention. Our double glazing repairs cover the entire range of your windows and doors themselves, and we are able to work on the entirety of the product from the handle to the glass. We can repair your Velux windows without issue, and restore your product to maximum efficiency. 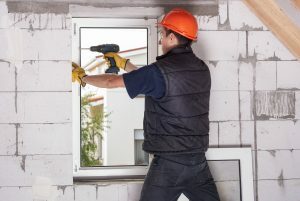 If you require double glazing repairs, then get in touch with us today by calling us on 01258 488500. We’ll happily answer any queries you may have about repairs that you need. Alternatively, you can also send us a message on our online contact form. We will then respond to you as quickly as possible to answer any question you might have. Why Do Double Glazed Units Suffer From Condensation? One of the main causes of condensation between the glass is when the drainage holes in the frame are blocked and water sits underneath the units. Another cause of failure occurs when fitters have not used packers when fitting the units. Failed units are less energy efficient due to the lack of vacuum between the glass sheets, and suffer aesthetically as they become misty. How Exactly Do You Replace My Double Glazed Units? We measure your units and phone you with a quotation. Upon acceptance of our quote we order the new double glazed units and book in a date for installation. We will also provide estimated time-scales for completion i.e. less than an hour, two-three hours etc. All uPVC and aluminium profiles are different, and our engineers are extremely experienced in their craft. What Warranties Do You Offer For My Double Glazed Units? Double glazed units fitted by Total Window Repairs into a uPVC frame carry an impressive ten year warranty. Units fitted into our Aluminium frames on the other hand carry an incredible 5 year warranty. These guarantees are provided for your assurance, and are both made to measure and also manufactured by a nationwide supplier. When you purchase from TWR, you are protected. How Do I Know If My Double Glazed Units Are Toughened? Toughened units have to be installed to the following specific frames: doors, side screens, Velux windows, Conservatory roofs and any other window which is less than 800mm from the floor level. Don’t settle for anything less than the strongest double glazing products in your home improvement project. Contact Total Window Repairs today, and purchase durable double glazing products. 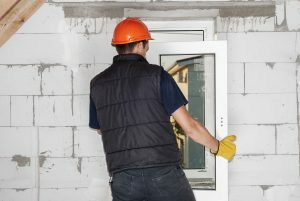 Most window and door gearings can be replaced rather than having to outlay the cost of replacing the complete window or door. There are a wide variety of gearings available, and we can supply and fit 99% of them. Contact our team today to find exact prices for your new locking mechanisms. Not to worry; we can easily replace your door cylinder and supply you with a brand new set of keys, with up to three keys per cylinder. The typical cost for scenario such as this is £80.00. This amount accounts for the materials used, the labour time and then finally VAT on top of this. We can simply replace your handles whether it’s for your window or door, either like for like or with a similar alternative. We offer a number of handle types in a number of colours, from monkey tail to inline, from white to gold. Our prices for handles are approximately £12 each excluding fitting and VAT. Faulty windows can reduce the thermal efficiency of your home. We carry several styles of hinges to replace your existing broken or faulty window hinges. These include standard side hung, egress side hung (fire escape), top hung and tilt and turn. Our prices range from £20-£37 per pair, excluding fitting and VAT.